These were discovered or should I say exposed to the Chile pepper world by the “Chile Queen” Beth Boyd of Houston, Texas. Beth also known as the Aji Queen saw these Yellow Scotch Bonnets at a market called Foodarama. She then grew out for a time selecting the best. Beth passed away in 2014 at the young age of 55 but left us with many varieties like the Foodarama Scotch Bonnet as her legacy. We need to grow these out and pass on who she was so she will always be remembered. 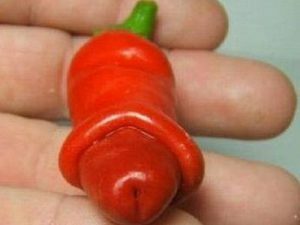 To me there are more things important than the Worlds Hottest Chile pepper. To me the Contributions and Dedication of Beth Boyd are of a greater importance. 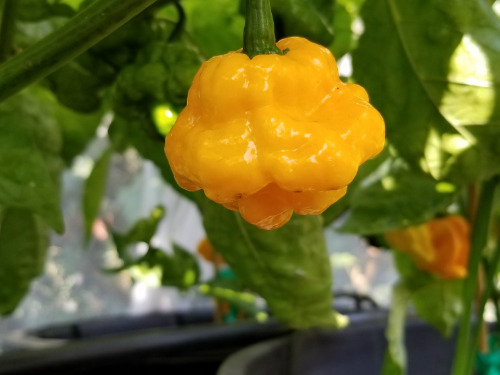 The Foodarama Scotch Bonnet is absolutely delicious and fruity with a habanero heat level. 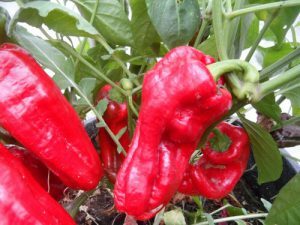 It has the flying saucer or bonnet like shape in most of the peppers but will have some variations. 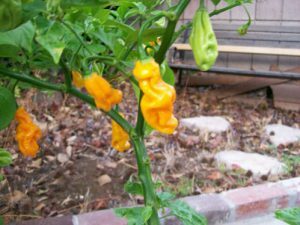 The Foodarama Scotch Bonnet Yellow chile plants grow over 4 feet tall. 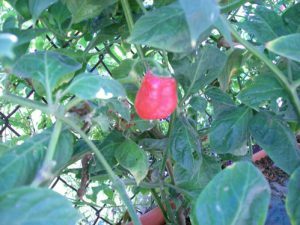 There is also a natural Red variant of the Foodarama Scotch Bonnet. 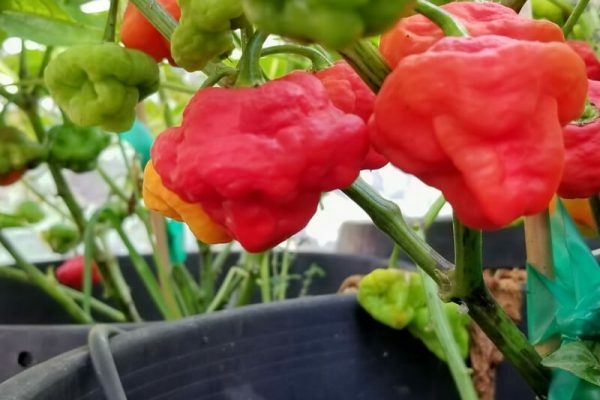 The Foodarama Scotch Bonnet Red is absolutely delicious and fruity with a habanero heat level. It has a higher heat level than the original Yellow type. It has the flying saucer or bonnet like shape in most of the peppers but will have some variations. 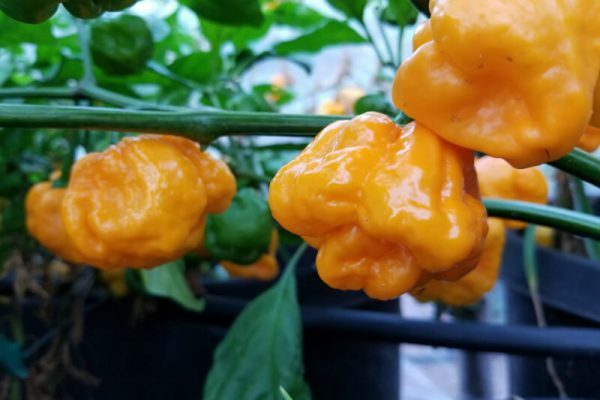 The Foodarama Scotch Bonnet chile plants grow over 4 feet tall.